Sell on Amazon from U.K. or Australia or China etc. 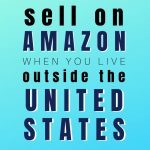 I get this question a lot: "I live outside the U.S. - can I sell products on Amazon.com?" Yes, in most cases you can sell on Amazon.com, even if you live in another country. Let's say you live in another country (Australia, U.K., Japan, etc.) and you want to sell products on Amazon.com. c.) A U.S. Bank Account so you can receive Amazon's payments (Payoneer provides that service here). Exception: Amazon has recently allowed banks in SOME countries to receive payments direct by Amazon. More details here. 3.) Sign up on Amazon.com to be an Amazon Professional Merchant and sign up for FBA as well. Get paid directly by Amazon when your any of your inventory sells. You purchase (say) $5,000US worth of blue widgets from a wholesaler/importer and you have them shipped directly to Amazon or or to a pre-fulfillment facility in the U.S.
Amazon or a pre-fulfillment facility processes that inventory and lists it on Amazon.com under your seller account for a nominal fee. Source inventory from online retailers. Some sellers outside the U.S. are buying products online from major U.S. retail sites like Walmart.com and ToysRus.com, to resell on Amazon.com. BUT: 1.) You can't send items directly from the online store (e.g. Walmart.com) to Amazon.com. It doesn't work like that - Amazon will reject your shipment(s), 2.) Many onlines stores do not accept non-U.S.-based credit cards for purchases. In those cases you'll need to buy products using paypal or gift cards, and 3.) You will need to have those online stores ship your order(s) to a pre-fulfillment center so they can process them for Amazon.com for you. Those fulfillment centers will charge fees for that, so watch your profit margins. Here's another recent blog post from The Wholesale Formula. I am a US citizen residing in Australia permanently. I have setup my FBA account using my USA home and banking details. What are the tax implications of this? Do I file taxes in the USA or Oz or both? Thank you for sharing all of this information. I’m from the UK and currently live in Australia. Do you know if it’s possible to get ungated in categories like Health and Beauty without having a US business license, a US LLC…etc? There is a lot of mixed information and opinions shared on message boards, and i’m wondering if you have any knowledge about this. Thanks. The only trusted resource I am currently aware of his here. I am a US citizen but live in Ecuador. HOWEVER, I do have a physical US address and two bank accounts that reference that address. I will NOT be sourcing products here but instead in the US. 1) can I use a debit card which also serves as a Visa card? I ask because after my wife almost died we destroyed our credit and getting an unsecured credit card may be difficult. Just so you know… it works for Paypal. And I have made purchases from Amazon and Ebay and many others online. 2) Can I log in to work my business from an IP in Ecuador with no issues? I have heard of others trying to join FBA and after they are turned down it is a harder process to correct than if they had asked the questions upfront before making the leap. Thank you for helping me. I look forward to your reply. Sam I don’t have answers to those questions. The only help I have to offer (since i am not an expert on non-U.S. sellers selling on Amazon.com) is on this page. Thanks a lot for the great information much appreciated. I live in melbourne australia and looking to start in wholesale an private label. Im looking to purchase the PAC course, also when the wholesale formula opens again for registration i’m keen to have a look. Is this viable from australia as i’m a complete newbie but wanting to do this full-time with all my energy as i see great opportunities. I want to ask: for example, I list in eBay.com an item from Walmart for $50 which means free shipping within U.S. So I set Free Shipping (selling to U.S. only!) in my listing. BUT: since I’m from Europe, even when I set “Standard shipping 1 to 5 business days” service (US only! ), then my eBay listing shows it “Standard shipping 14 to 26 business days”. I think this is because the system shows Item Location: Europe (and my country) and automatically calculates it as shipped from Europe. So, how to avoid and solve this problem? There are probably some settings within the eBay interface that you can change to U.S. If not it may be within your browser settings (you need to find out where to change your address/location settings within your browser and/or on eBay). Let me give a scenario. Referring to “Get inventory LOCALLY to sell on Amazon.com”, a seller sends inventory from overseas to Amazon’s FBA warehouse. However after selling for 2 years on Amazon, the seller is unable to sell all of the inventory. He decides to ship the Amazon inventory back to original country. Checks MyUs for the cheapest shipping rates, cost of shipping is more than the cost of product itself. What would you do in this case? Destroy the inventory instead? Or is there a more affordable method? I don’t quite understand the shipping rates on MyUS. Based on what I see here, https://www.myus.com/pricing/calculate-shipping/ USPS is much slower and much more expensive than DHL and FEDEX. Isn’t USPS suppose to be cheaper? I don’t understand your question. Myus.com was referenced in my blog post because non-U.S. sellers can use MyUs.com to obtain a U.S.-based address, required to sell on Amazon.com (US) and to receive returns from Amazon.com (US) Fulfillment (FBA) warehouses (if the seller desires). I am not sure what it has to do with USPS (a totally different entity than MyUs.com) shipping rates or Fedex/DHL. I suggest you reach out to MyUs.com support to answer specific questions you may have about their services. Some fantastic info there, the course looks like it will hep a lot of people. I think instead of asking questions just watch the course, and start to figure out your issues from there. Great and concise resource! I am on DAY 2 of my feasibility studies on running an Amazon US FBA shop from abroad — and I am quite overwhelmed! Thanks for all the handy tips here – they have given me a bit of hope and clarity. 🙂 I’ll be going through them more in detail over the next few days. Jordan, I reside in Nigeria and I will like to be a seller on Amazon. Please can I sell on Amazon from Nigeria? Because when I checked the list of countries from which sellers can register and sell on Amazon website, Nigeria is not included. Is there any other way I can sell on Amazon from Nigeria? Please I need clear explanation. Thanks!!! All the resources and help I know of are on this page. Considering I am neophyte in the field, I was wondering if you could have insights as to which one might be better fitted for a true beginner living outside of the US. I currently reside in South Korea by the way. Hi – Well StartupBros JumpStart program doesn’t open up again until Nov. 2015. Proven Amazon Course is excellent to start with and has lots of international-based folks successfully taking it and growing their business. Good luck! Thanks! I’m ready to do this. Hi I am sorry I don’t have further expertise on this, that is why I posted the resources/links on this page, you should be able to get the answers that way. Thanks. I live in a country not supported by FBA. I wanna know if I use payoneer to get a US based bank acc along with its card/address ..etc. and all…. should I also fill in the FBA tax form as a US based resident? Will I be liable for taxes? I don’t wanna pay taxes since I’m not based in the US. How do other international FBA sellers go about this? I can’t seem to find information online about this specific point. Kindly advice. Hi I am sorry I don’t have the expertise on that, that is why I posted the resources/links on this page, you should be able to get the answers that way. Thanks. I am from Pakistan and currently in UAE, and amazon not accepting accounts from both countries. To comply with applicable laws related to commercial transactions, we are conducting a review of your account. During the review, you will be unable to access your account. We will send an e-mail within 24 hours confirming receipt. We will convert your fax to a secure electronic image. If we do not receive this information within 14 days, your account may be closed. Do you have any solution for that or this is not for me? 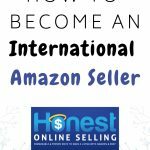 Hi, I don’t have the sufficient knowledge to help you further with selling on Amazon from outside the U.S. For more help, get the very inexpensive GetOnAz.biz course here. Update: The entire GetOnAz course is now included when you buy the Proven Amazon Course. So, you are not sure? Do you think that course can help me because I want to be sure before buy if that software can help me or not. Same thing happened to me and was easy to solve, You need to just send the current info you use in your country, they are not asking for USA address, they all want to know at this stage is if you can prove you are a real person and a serous one, not some web robot. After reading Skip’s article why an overseas seller like me from India need to setup US bank account,Phone number,etc. Aren’t my details sufficient or am I missing something? I checked out both the websites – GetOnAz.biz and ProvenAmazonCourse.com ; From what I saw, the PAC’s website talks nothing about the GetOnAz course being part of the PAC course and included. Did I miss any link mentioning the same ? Appreciate if you can redirect any such links which mentions of both the course included in PAC. Presumably the PAC ‘public’ site is not updated to reflect it yet. International AZ is 100% free with your purchase of ProvenAmazon Course. If you buy ProvenAmazonCourse and you’re unsatisfied ANY time with the content or for ANY reason, you can get a 100% money back guarantee, no questions asked. If you are refused the InternationalAz course and/or the refund (you won’t be, but I’m putting this in for added insurance for you) contact me. That does mean a lot to me. Will keep in touch. Regards. Thank you for the extensive information in this thread. I have a question: is the Barrington McIntosh course to be seen as supplement to Jim Cockrum’s PAC? Is it advised to purchase both? In your review ebook you suggest PAC for international sellers. Also, it appears that the pool of support (various forums with paid moderators) at PAC is more extensive. What is the extra “bang for the buck” with Barrington’s ?? Hi, you’ll be happy to know that GetOnAz.biz is fully included in the Proven Amazon Course. When you buy Proven Amazon Course for one price, you get all of GetOnAz.biz’s content. Hello Jordan! Im from Romania,a country not supported by Amazon.I could have any chance for selling on Amazon US? ?Thank you! Yes, you can sell on Amazon no matter where you are in the world. You will have some extra steps though, and i am not an expert in that, so I highly recommend this course that will tell you everything you need to know and help you. First of all thanks for the golden info. I need to know more about payoneer I was with skinny body care its an mlm company and they process their commissions through payoneer and I’m from india its been 7 months and I’m still waiting for my money its close to 800$. I live in india my city is delhi. I’m in doubt again if amazon process their payment through payoneer. Can you please guide more about this? Sorry my international knowledge is limited to the info on this page, I don’t know anything further about payoneer etc. No questions yet, but I really appreciate your free info and reviews. Wealth of info. Am a newbie hoping to move my family back to the US but for now need to sell from Japan either to Amazon JP or probably US Amazon. Really a newbie and looking for all the help I can get. Just want to say thanks for all you’ve put into your site here! I am part of PAC but this query of mine remain unanswered. Currently I am selling on Amazon as FBA. My credit card is sometimes declined and I am trying to find out reason from AZ and my banker but of no avail. Neither of them could understand reason. Can I use Payoneer for payment as well as receipt of proceeds if I am based in India? I currently use Indian bank for receipt and Omani credit card for payment where i live and work? That’s best answered by http://Payoneer.com via their website, phone, or email support. I live in Spain and just wondered can I actually buy from the likes of Kmart.com, ToysRus.com, Walmart.com, etc. using my credit card that has an address here in Spain? Would I not have to open an account with them first and would I be able to input an address outside of the USA here in Spain? If I can do this then it would great but I have tried to purchase some items from the UK and been refused because my debit card is not based in the UK. Just wondered if anyone else has had that problem? So how would I go about doing that? Do you know how others from outside the U.S have overcome this obstacle? It seems feasible to me to do this but looking at the Maynards site to create an account it wanted my billing address but only allowed U.S. states from the drop down menu. I am sure there must be a way around this and wondered if you have heard how others go about this. I don’t know wha the Maynards is. You would need a third party fulfillment service like FBAInspection.com to receive the goods from the web sites. This is all the info I have that can help International sellers. If you need further help, I highly suggest you consult with the expert on this topic here. a complete newbie to selling business but for time and money freedom l wish to indulge in this.Plz guide how to proceed . Thanks in advance. Hi, the most help I can provide non-USA sellers is in this page (above), please see all the recommended steps there. Hi Jordan, finally just minutes ago bought the PAC thought your blog. We move a lot because of my husbands job and every time we move I have to quit my job. Now with 2 kids, things have change and want to spend more time at home with them. I am very excited to start this new journey! Thank you for all the information provided in your blog, it has been very helpful and really enjoy reading every post!! Thanks for the info above. Awesome! 1- Jim recently told me (just 2months ago) that AMZ does the job that MyInventoryTeam does but you are saying they don’t, so I’d like to know which info is relevant. 2- Are there specific days you should visit the above mentioned websites to get the best deals? I live in the US. I want to source my products from Turkey, China, Australia, etc. and have them shipped to MyInventoryTeam to be labeled/prepped before sending them to Amazon ‘s warehouses. Do you know if MyInventoryTeam accepts products shipped from other countries to be prepped for Amazon FBA? Thank you much in advance, Jordan! Hi Jordan, just wondering if all this info is still currently correct? My wife currently sells by FBA but we live in australia, she has a payoneer account but has used our australian registered phone and address to set up her amazon account . I would like to set up my own amazon account but are getting varying information as to what to do when in registering from out US. Any advice ? Please note that the above describes the procedure for selling on Amazon.com (US) if you are in another country. Have you tried contacting Amazon Seller Support? Awww jordan, thank you so much for this post. Do you think international seller need price scanner? Like profit bandit or scanpower? Btw, I am hesitant, why PAC is suggested last? Having a price scanner when you are scouting for items in-stores makes it a quicker process but it isn’t necessary. You don’t need a scanner when you are evaluating an item on the Internet (when you are on your computer) because you can look up the information while you are there. PAC is not suggested last on purpose, I am suggesting it if you want to have help from a community of other Amazon sellers who are also internationally-based. All clear, I’m amazon’s seller who live in Thailand and full time FBA. MyInventoryteam are interesting service. It’s might be great for liquidator who live outside US. From your comment it seems you don’t use any pre fulfillment service, so how then do you manage the logistic? Do you send straight to AMZ after purchase or how do you do it? Thank you, Jordan, for clearing all that up. I knew about the U.S. based phone #, address, and bank account (and have 2/3) but it was suggested to me that Amazon could be “pretty nasty” if they decided a seller was practising deception. I am wondering how it all works out when you have to register as a business in your own province, and say you are actually doing business within the U.S., showing an American address, bank account, phone #. Hannah I don’t think there’s anything deceptive with the above prescribed. The U.S. bank account numbers, phone numbers and addresses being ‘sold’ are 100% legitimate. Note that Amazon isn’t insisting that the seller is a U.S. resident or a U.S. citizen. Previous post: What’s the best Amazon Business Model?